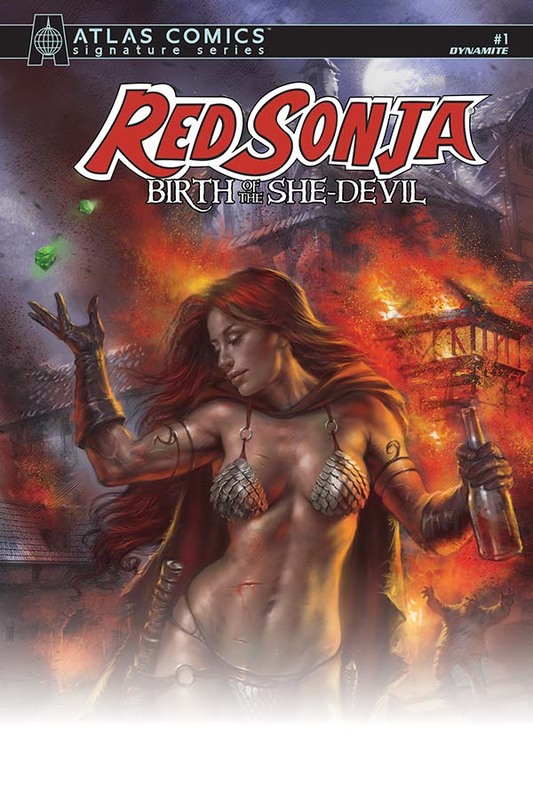 An early tale of the She-Devil! 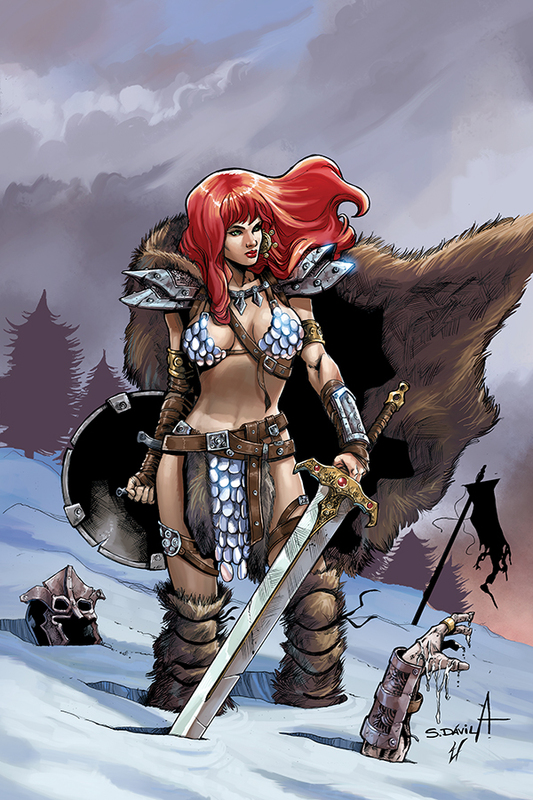 Explore the early years of the wild and untamed Sonja the Red, before she because the scourge of Hyboria - Red Sonja! 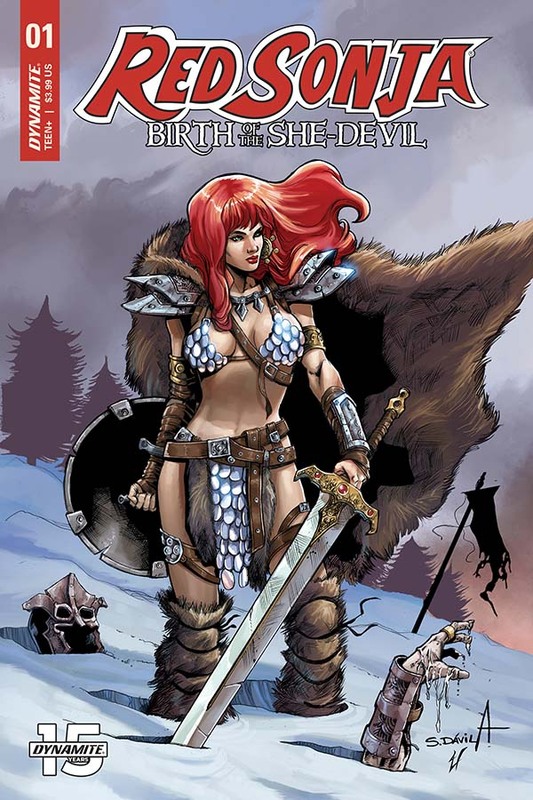 Retaining her trademark armor and flame-filled hair - and temper, writer Luke Liberman (Red Sonja: Doom of the Gods) and artist Sergio Davila (Conan) deliver high adventure and horror as they introduce the demon conqueror Raka and his devil's brew, which turns men against their fellow men (and everyone in their way!). Also featuring the return of Sonja's early mentor, Ozzyus! 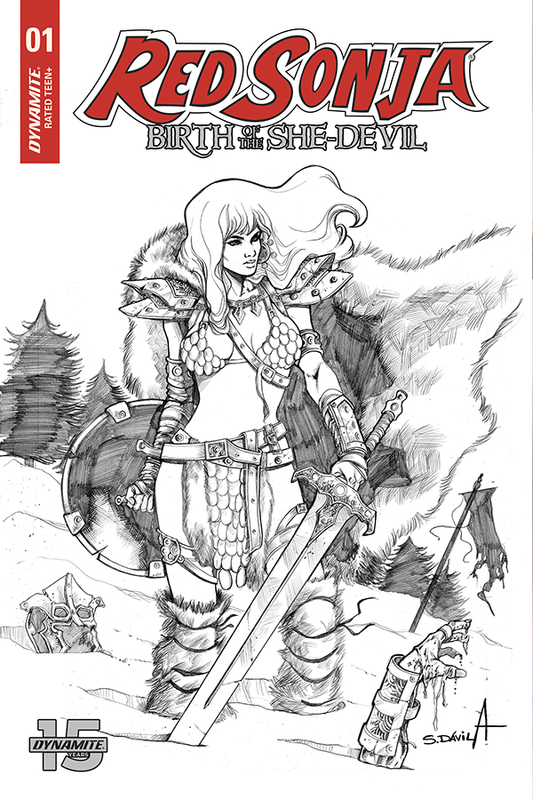 Look for a trio of incredible Covers: Master Painter Lucio Parillo, interior artist Sergio Davila and the return of cosplaying favorite, Shannon Kingston!